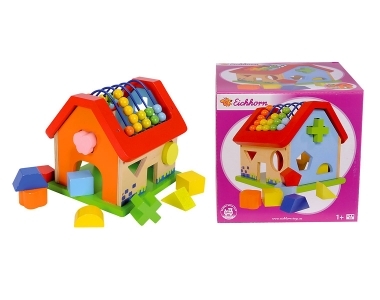 Eichhorn Abacus Shape Sorting House is perfect for helping children to discover different shapes and colours through play. Each block only fits through one hole, helping to develop the child’s spacial perception. The abacus on the roof of the house helps the child to learn about numbers and quantities. Suitable for children aged 1 and over. A firm favourite with our staff, this is our pick of the week.